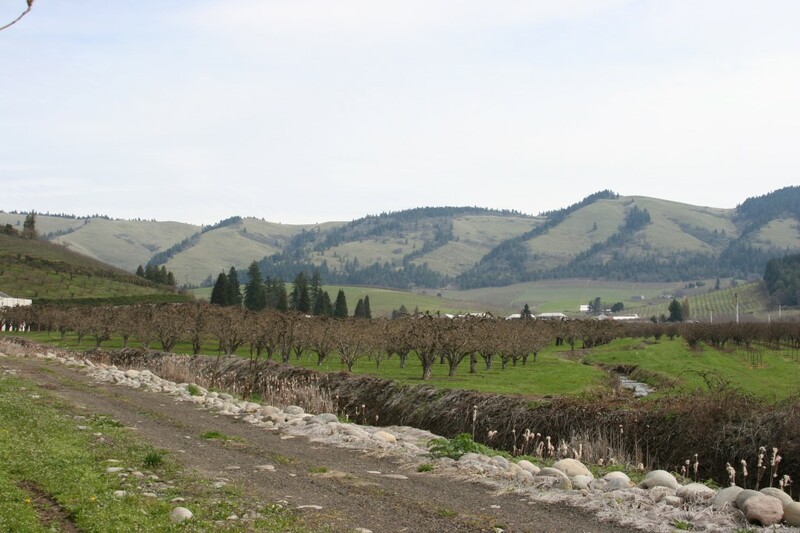 Spring in the Hood River Valley means two things: orchards full of delicate blossoms and the inevitable frosts that threaten them. Weather monitoring allows fruit growers to keep a closer eye on the temperature during this time of year, and if at night it dips below freezing alarms will sound and people rush into the orchards to protect the sensitive blooms. For decades the main line of defense was diesel-fueled smudge pots that are placed amongst the trees and used to chase away the cold. In more recent years gigantic fans can also be used to push the rising warm air back to the earth and displace the cold drafts. Here at The Fruit Company we are proud to that our orchard operation has gone entirely propane with our smudge pots. Instead of adding to the diesel pollutants in the air we are now burning propane gas, which is drastically better for our environment. Pollination is also incredibly important during the blooming season. Honeybee hives are placed in the orchards in order to pollinate the blossoms and ensure a bountiful crop in the autumn. Many blocks of pear trees have crabapple trees interspersed throughout as they are more attractive to the bees and it prevents them from straying and seeking other flowers in the vicinity. Once the honeybees are done pollinating an orchard their hives are moved to another orchard to continue to process, oftentimes with many different fruit growers sharing the same bees in a season. Besides propane smudge pots and natural pollination, we are also utilizing a new innovative planting style in our orchard operations that will not only increase fruit production but also improve the safety for all employees working in the orchards and conserve land use in our beautiful Hood River Valley.